If You Register and Cannot Attend, You Will Get the Webinar Recording, Slides, and Bonus Materials. Wow! 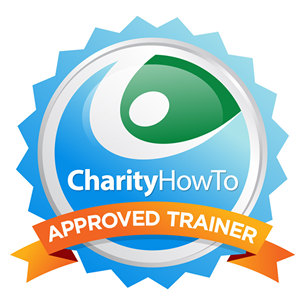 98% of Webinar Attendees Rated This Nonprofit Webinar Good to Excellent! 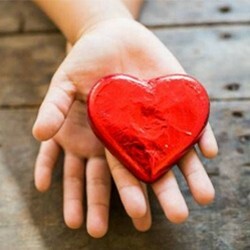 Asking for charitable gifts in person is the most effective fundraising you can do. Research of non-profits shows that 75% of all in-person asks of individuals result in a gift. Those are incredible odds. It’s also the most challenging fundraising you will do, and you need the understanding and tools to do it comfortably and effectively. The Asking Styles, developed by Brian Saber’s company, Asking Matters, are a revolutionary way for everyone – staff and volunteers alike - to learn how to fundraise in a way that suits their personality and takes into account their strengths and challenges. * Note: This training comes with a 5-page worksheet to complete during the webinar. This webinar worksheet and the bonus materials below will be in your CharityHowTo library two hours before the webinar starts. ** Extra BONUS: Each participant will receive Asking Matters’ eBook – “Top Ten Tips on How to Ask for Donations” - as a bonus for attending this webinar. "Great presenter with lots of very useful tips." "This webinar was incredibly user-friendly and clear." Dianne Boyse, Envision Therapeutic Horsemanship Inc.
President of Asking Matters, has raised hundreds of millions of dollars over 30 years by personally soliciting thousands of donors, coming to understand the art of the ask in a way that few people do. Because of his remarkable experience in asking, Brian has been able to break down the process of asking to its fundamental components, making simple what for many seems daunting. He knows how to persist through his own anxieties, remembering again and again that his success as a fundraiser makes a corner of the world a better place. Brian has worked in social service, education, and the arts, raising money for his alma mater, Brandeis University, Northwestern University Settlement, and The Children’s Brain Tumor Foundation, among others. He is currently a consultant to various organizations around the country and presents, trains, and writes on fundraising and the art of the ask. Recent clients include the Archdiocese of Los Angeles, the U.S. Olympics Committee, the St. Louis Planned Giving Council, Volunteers of America, the Utah Society of Fund Raisers, and the Salvation Army National Resource Development Conference.